Ann Cleeves writes about her hometown of Whitley Bay, the setting for her eighth 'Vera' novel, The Seagull. 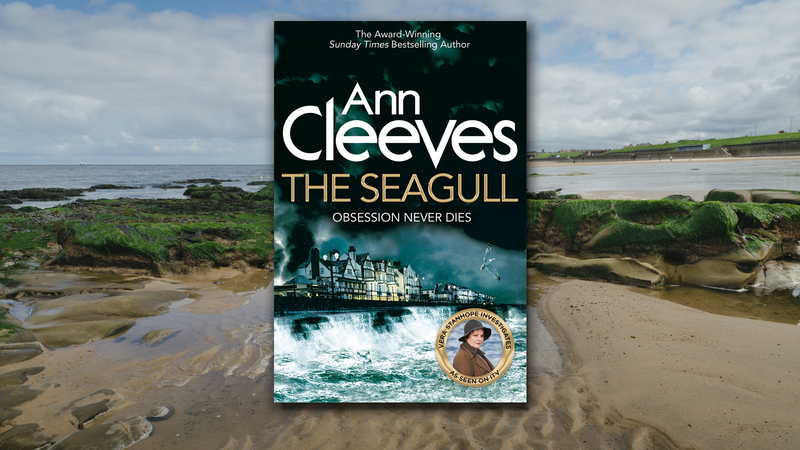 Author Ann Cleeves has called the coastal town of Whitley Bay in Tyne and Wear home for the past three decades. Here, Ann explains the unique charm of the seaside town and why she chose it as setting for her eighth Vera Stanhope novel The Seagull. The book is also the inspiration for the series finale of the ninth series of ITV's Vera. The Seagull is partly set in the place where I live. Whitley Bay is a faded seaside town on the coast east of Newcastle. Since we first moved to the North East in the mid-eighties the place has changed dramatically. Then the seafront was the place for wild partying; the streets leading up from the beach held nightclubs and bars, music blaring into the roads. At weekends and bank holidays the pavements would be jostling with scantily clad young women and men, moving from one venue to another in a kind of ritual dance, singing and drinking. Then the Spanish City fun fair was already past its glorious best, but, in the shadow of the great white dome, it still opened each evening to Dire Straits’ Tunnel Of Love. Kids clamoured to be taken inside. Going ‘down Whitley’ was a rite of passage. It was where teenagers from the surrounding villages first got drunk and first stayed up until the early hours of the morning. It was sleazy, tacky, but very much alive. Now, some of the streets which once held the rowdiest clubs are almost derelict. The buildings are boarded up or are being demolished. Grass pushes through the concrete where once people sat outside drinking, pretending they were in Ibiza or Majorca. Soon the buildings will be replaced by apartment blocks. Sometimes, the residents in the smart, genteel streets to the north of the town, who once complained about the visitors’ rowdiness, now moan that the place is dead. But I sense a real optimism. Young families are moving into Whitley Bay attracted by the sandy beach and the good schools. A yoga centre has taken over the empty station buildings and there’s a community garden. One street holds its own contemporary art exhibition, allowing strangers to wander in and out of their houses to look at the installations. We have a tiny independent cinema and there are good places to eat and drink. And we have our own brewery, just off the seafront where once people partied. That brewery has created Seagull beer to celebrate the book and the town. It’s a very good brew. The Seagull is the name of a night club that never existed. In my head, it was an art deco palace, sleek and curved like a luxury liner. There are still a few deco houses on the road that leads to St Mary’s Island and perhaps they triggered my imagination. The lighthouse at St Mary’s no longer guides ships into the Tyne, but it’s a symbol of the place and it too plays a major part in the story. The eighth novel in Ann Cleeves' best-loved Vera Stanhope series. Following Vera, who is played by Brenda Bleythn in the ITV series, as she investigates a cold-case with a personal connection, The Seagull takes Vera back in time, and very close to home.